In today’s new big family homeschool vlog I’m sharing my NEW homeschool curriculum choices for the upcoming 2018-2019 homeschool year! 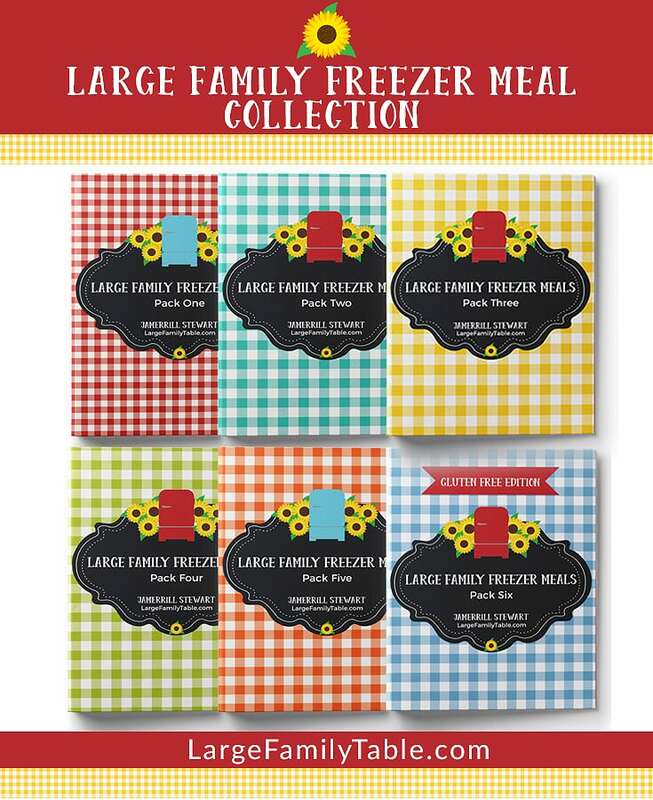 These are new homeschool books to our large family homeschool focusing on our children ages 11, 9, 7, 5, and 3 1/2. That’s right, I will read all of these books aloud and cover all of this homeschool curriculum (intended for grades 4-7) with all of the elementary aged and even preschool children! The 11, 9, and 7-year-olds will be using Saxon math for their various homeschool math levels. The 5 and 3-year-olds will be using multiple age-appropriate resources for their learning as well. Also not shown at the moment is the younger children’s All About Reading program and Sequential Spelling which I use for the older elementary kiddos. In today’s homeschooling vlog you’ll see our new Sonlight Core E which covers Bible, History, Geography, and Language Arts. Also, shown is our Sonlight Science, homeschool art curriculum, and more! I also share about how we were going to switch to Classical Conversations for this upcoming year but after much consideration decided otherwise. 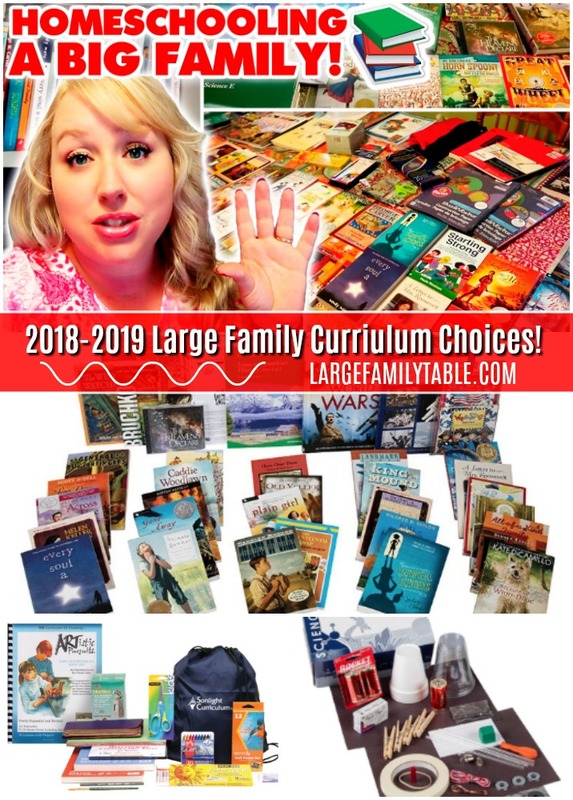 Click here to watch the full Big Family Homeschooling Curriulum Choices for this new homeschool year! Big List of Benefits of Homeschooling from a Large Family Mom!